Recipe Source Online: Now what??? 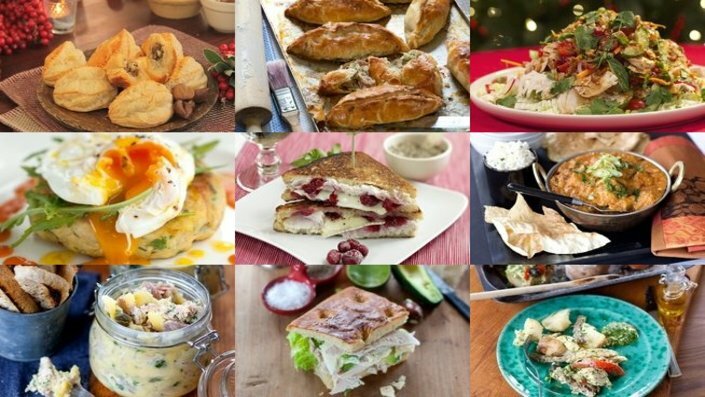 Here's some great leftover Christmas Recipes! Now what??? 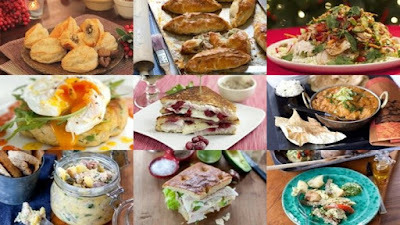 Here's some great leftover Christmas Recipes! This rich and comforting dish uses leftover ham in the most wonderful way. Enjoy it whether you have leftover ham or if you go out and purchase it just for this recipe! These fresh tasting wraps are so easy to make. Put together the filling and keep it in the fridge, then your guests or kids can roll their own! The combination of textures and flavors in this easy recipe are really wonderful. You can make the chowder without ham too, if you'd like. This classic and comforting quiche is perfect for a cold winter night when you've had a hard day. It's mild, with the perfect texture and flavor. This simple five ingredient recipe is so quick to make; use refrigerated prepared polenta, a container of Alfredo sauce, ham, asparagus and Parmesan cheese for a wonderful meal in minutes. This is my favorite updated and easy classic holiday leftover recipe. It's a sophisticated version of Turkey a la King. Or if you feel like making something from scratch, the original Turkey Mornay recipe is perfect. Nobody will ever think that this recipe is made using leftovers. It's elegant enough to serve to company. Make candies out of candy canes! This is another great project for kids at home during Christmas vacation.